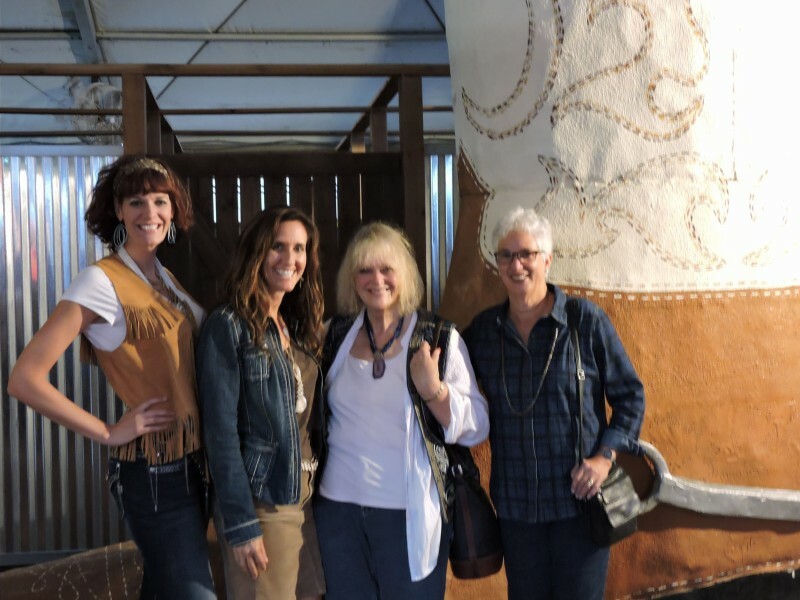 Four of us Route 66 adventurers, from different regions along the East Coast of the United States, drove half of the iconic road in early Fall, from Amarillo,Texas to Santa Monica, California. We wanted to drive the entire route, but time restraints prevented us from doing so--another trip in the future will include the rest of the old road, from Chicago to Amarillo. This travelogue features the history and tradition of Route 66, the people we met, and the places we visited along this particular stretch of the highway. For me, this "girls' trip" involved three generations of my family, as my daughter, Christine, was one of the adventurers. I always felt a compelling need to travel Route 66. My work as an artist, interested in the preservation of Americana, was partially the reason, but there was another that was more personal. My father spent time on Route 66 in 1942 when he was sent to the U.S. Army Desert Training Center, a World War ll facility located in the Arizona Mojave Desert. Soon after, my mom traveled to Yuma via the Mother Road to be near him. I've always felt that Route 66 was "in my blood". 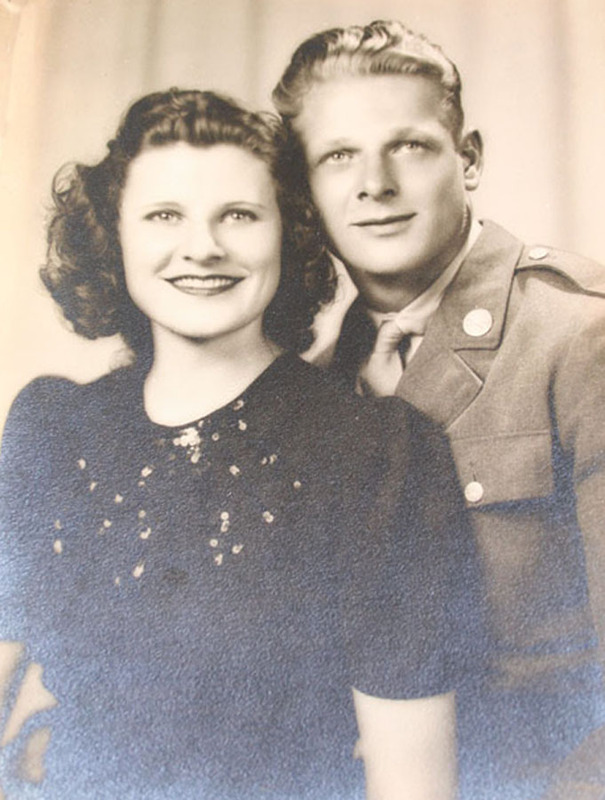 That could be because, when Mom took the old road back home after Dad was shipped out to fight in the European Theater, she was close to giving birth to me. So this was my second journey on Route 66. My parents saw U.S. 66 in its heyday. Now, many years later, I wanted to return to see firsthand the impact of changes bestowed upon what was once one of America's busiest roads across the country. And once so famous that it spawned a 1960s hit TV show of the same name, Route 66, starring Martin Milner and George Maharis, who traversed a section of this popular roadway each week in a Chevrolet Corvette convertible. Like so many traveling on what is known as "America's Main Street," I wanted to share this experience with generations of my family in hopes that they would someday continue the tradition. I believe that in order to go forward effectively in this country, Americans need to fully understand our past. The history of Route 66 speaks volumes about who we are as a nation. During our eleven days on the road, we spent precious time with people who shared their passion and their reasons for staying on Route 66, and were treated to myriad heartfelt stories. These folks are genuine, and personify the best of what America represents. We found ourselves talking about life under the neon signs and marveling at the ingenuity of those who chose to live and work along Route 66: advertising their businesses in most unique fashions. We were taken aback by the breathtaking natural beauty we encountered all along the way. When we had to detour off the old road onto I-40 (a portion of Route 66 abruptly ended), we found ourselves yearning to get back on Route 66 ASAP. It was like we entered a bygone era when we were on the old route...an escape from the hustle and bustle, and where life was slow and easy. We concluded this journey through time with new knowledge about many old-fashioned things and a realization about the importance of preserving and cherishing this massive and unique piece of American history. Click on the image above to go in the History of Route 66. Please Note: Most photos can be enlarged by clicking on them. Click on the enlarged photos to close.